The following organizations, companies, or institutions represent SECOORA partners in data integration and access. Please let us know if you are not represented here and feel you should be! EarthNC provides over 2100 NOAA & ACOE charts displayed in “seamless” mode. Updated on a bi-weekly basis, the most up-to-date charts online available. University of South Florida’s College of Marine Science has five Teledyne Webb Research Slocum Gliders operated for the College by the Center for Ocean Technology. The gliders have been performing missions in the Eastern Gulf of Mexico since 2008. The gliders are equipped with heterogeneous sensor packages which can include CTDs, fluorometers (calibrated for chlorophyll, CDOM, and backscatter), dissolved oxygen sensors, radiance and irradiance sensors, and passive acoustic recorders. These assets allow researchers to focus on circulation and bio-physical model validation, ground truthing of satellite observations, HAB monitoring and mapping, and fisheries related applications. Deployments can be monitored and archived data is available. The Ocean Circulation Group within the CMS-USF engages in physical oceanographic studies of the ocean circulation and the interactions between the oceans and atmosphere. Present emphases are on the West Florida Continental Shelf (WFS), the broad, coastal ocean region between the shoreline and the deep Gulf of Mexico, where the circulation provides the connectivity, which is of fundamental importance to all aspects of ecology. The approach includes a coordinated program of coastal ocean observations and numerical circulation models. Our observational program includes the use of moored buoys, hf-radar and a combination of profilers and gliders (joint with the CMS Center for Ocean Technology). Models presently consist of an eastern Gulf of Mexico, WFS N/F model using ROMS nested in HYCOM and various applications of FVCOM for higher resolution studies of the estuaries and the interactions between the estuaries and the continental shelf. The University of South Florida’s Coastal Ocean Monitoring and Prediction System (COMPS) provides additional data needed for a variety of management issues, including more accurate predictions of coastal flooding by storm surge, safety and efficiency of marine navigation, search and rescue efforts, and fisheries management, as well as supporting basic research programs. COMPS consists of an array of instrumentation both along the coast and offshore, combined with numerical circulation models, and builds upon existing in-situ measurements and modeling programs funded by various state and federal agencies. In addition, COMPS links to the USF Remote Sensing Laboratory, which collects real-time satellite imagery via its HRPT and X-Band receivers. IMaRS of the College of Marine Science research activities focus on the analysis of digital data obtained by satellite and airborne sensors, and on the development of applications of these data at local, regional, and global scales. The main objective is to provide a better understanding of the world oceans on a large spatial and temporal scale. In situ optical and biological data are collected for ground truthing and to relate the apparent and inherent optical properties of water constituents with the remote sensors’ signal. They specialize in coastal processes of highly variable regions like the Gulf of Mexico, the Caribbean Sea and Cuba using instruments such as AVHRR, CZCS, SeaWiFS, MODIS, and Landsat. The North Carolina State University Ocean Observing and Modeling Group (OMG) in the Department of Marine, Earth & Atmospheric Sciences, North Carolina State University. The research interests in include: coastal and estuarine circulation dynamics; bio-physical interactions; air-sea interactions; numerical modeling and data assimilation; and design and implementation of coastal ocean observing system. 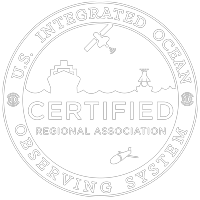 Their approach is to use in-situ and satellite remote sensing observations, data analysis and numerical modeling to explain fundamental coastal ocean physical dynamics, and to gain an integrated, quantitative understanding of their impacts on coastal ocean biological, geological, and chemical processes. The Florida Fish and Wildlife Research Institute’s work includes assessment and restoration of ecosystems and studies of freshwater and marine fisheries, aquatic and terrestrial wildlife, imperiled species, and red tides. The institute develops the information science required to analyze and disseminate research products and engages in outreach activities to complement all programs. The Florida COOS Consortium consists of a number of Florida-based state and private universities, non-profit organizations and private companies. The Consortium is developing an integrated and sustained Coastal Ocean Observing System (COOS) for Florida waters (extending out to the Exclusive Economic Zone). A COOS is an end-to-end system of observations, data management, and models to better describe, understand and forecast the coastal ocean environment. NOAA’s National Estuarine Research Reserve System (NERRS) acknowledges the importance of both long-term environmental monitoring programs and data and information dissemination through the support of the NERRS System-wide Monitoring Program (SWMP). The goal of the SWMP is to “identify and track short-term variability and long-term changes in the integrity and biodiversity of representative estuarine ecosystems and coastal watersheds for the purpose of contributing to effective national, regional and site specific coastal zone management”. This comprehensive program consists of three phased components: (1) estuarine water quality monitoring, (2) biodiversity monitoring, and (3) land-use and habitat change analysis.